Learn how to crochet granny squares with our free and easy, step by step instructions with photos. Bonus: The Easy Print Version also contains instructions for the antique blue and white throw blanket. Note: This project requires that you know the following crochet stitches; chain, slip stitch, double crochet. If you don't know these crochet stitches, you can go to: How to Crochet a Scarf to learn how. Done! Make crochet squares for your next project, make them small or large, sew them together like a quilt or make a pillow. 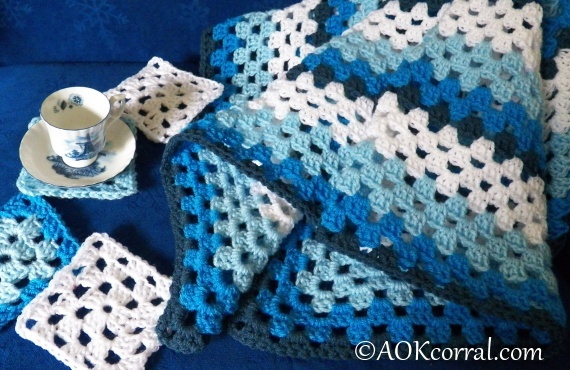 *This version includes all photo instructions for granny squares and the pattern for antique blue and white throw blanket.